On 'Cutting Off' An Interview Subject : NPR Public Editor Several listeners felt Israeli Prime Minister Benjamin Netanyahu's interview on Morning Edition was disrespectful. Israeli Prime Minister Benjamin Netanyahu chairs the weekly cabinet meeting in Jerusalem on March 29. 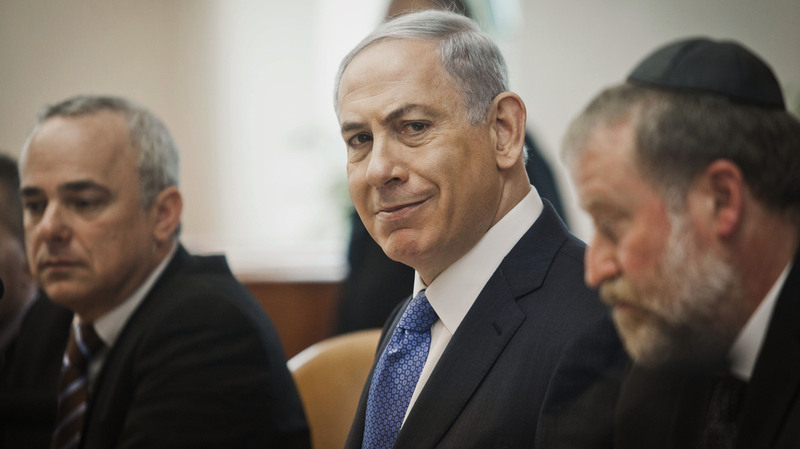 Netanyahu then said he had "deep concern" over the West's pending nuclear deal with Iran. David Greene's Wednesday Morning Edition interview with Israeli Prime Minister Benjamin Netanyahu drew some emails of concern from listeners about its content, but it is the complaints about the interview's form that I want to address here. I have never submitted a letter to NPR before, but I feel compelled to after listening to the treatment of PM Netanyahu on Morning Edition. Regardless of your opinion of him and his position on the Iran agreement, I found the extent to which he was cut off near the end of the interview incredibly disrespectful. I imagine that hosting someone so prominent in the debate around a very timely and important issue was a huge get for NPR, yet he wasn't given much time to explain his answers. Further, at the very end when the interviewer interrupted him to ask another question, he was given just seconds to answer the final question. To be clear, I'm not accusing NPR of bias in any way, I just think the way your organization handled the interview of a very important subject was rude and disrespectful. By the way... after he was so tersely decapitated there was some stupid music that lasted for a full 30 seconds, followed by 10 seconds of silence, followed by a ridiculous local station public service announcement. The issue is not new for NPR; my predecessor wrote about a 2011 Morning Edition interview with Rep. Barney Frank, who made clear how unhappy he was at being cut off for time. Many of the issues remain the same but here's what happened in this case specifically. 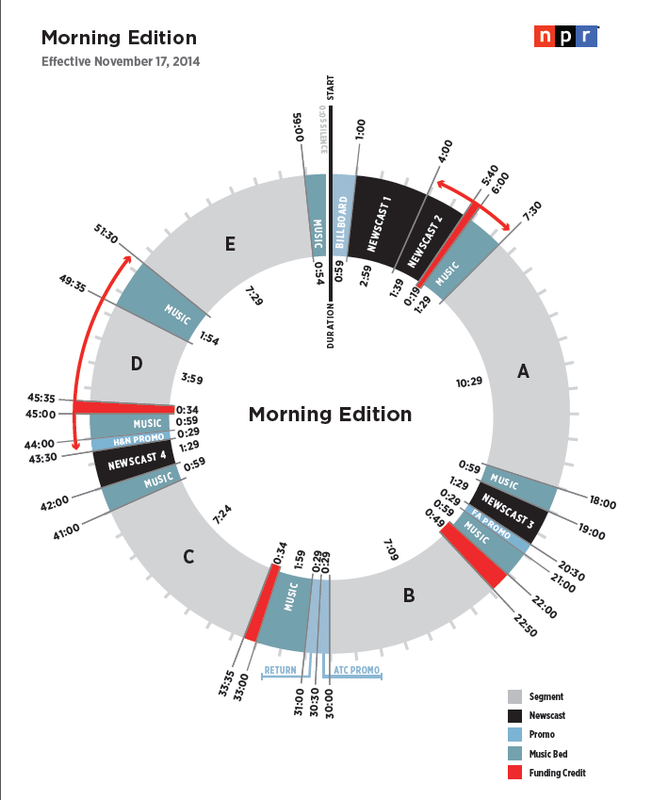 NPR's morning and evening newsmagazines are each run on what's referred to as "the clock," a to-the-second schedule that dictates how the two hours for each show are broken down into time for national newscasts and reports produced by NPR, local and national funding credits, and time for local stations to air their own news, weather, and traffic reports. Local stations count on NPR not to deviate from that clock, and they plan their own newscasts to conform to their allotted time. The Morning Edition broadcast clock dictates the time allotments for national and local news reports, as well as funding credits. The original interview, as those who heard it at 6:33 a.m. ET know, was conducted live (a relative rarity for NPR these days.) NPR had planned to devote 7 minutes and 24 seconds to it, which was the full segment. But in fact, Greene was not able to wrap it up in time, because the prime minister continued to speak. NPR ate into local stations' time by several seconds. "We broke that commitment to stations," said Cara Tallo, Morning Edition's senior supervising producer. Greene was respectful to Netanyahu, apologizing for interrupting. The last question was an important one—asking Netanyahu whether he could "at some point get behind this deal"—and Greene would likely have been criticized had he not asked it. The need to cut him off was regrettable, but with the interview already eating into local station time, it was necessary. Those are the perils of live radio and the constrictions of NPR's clock, which values local news. Those who heard the interview on the repeat at 8:33 a.m. ET or later, heard a slightly different interview—all the "ums" and "I means" and the like were edited out to gain back those few seconds for the local stations. NPR could have edited out all of the interruptions, as well, and those listeners would have been none the wiser. But Tallo said a decision was made to keep as much of the live feel as possible because "we didn't want the spirit of the interview to change." She called the edits "very cosmetic." And in fact, Tallo said, the minor cleaning up gained a few more seconds than needed, enough for the customary short musical interlude. That was the version Katz heard, and it's understandable that he believed NPR had cut short the prime minister in order to jam in some music. That was not the case. This post was corrected to reflect that David R. Katz lives in Arkansas, not Arizona.